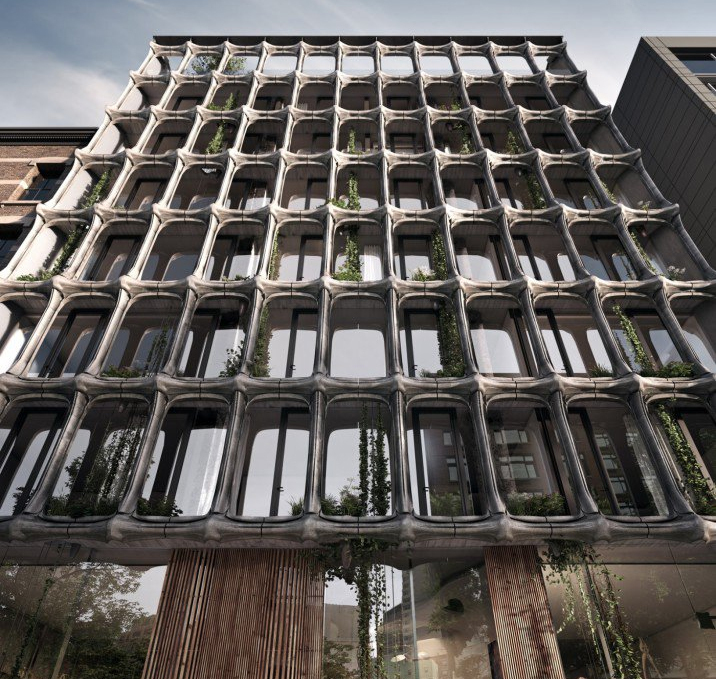 DDG's signature around NYC seems to be foliage + facade. They do it well. This lot is cleared and digging down has begun. 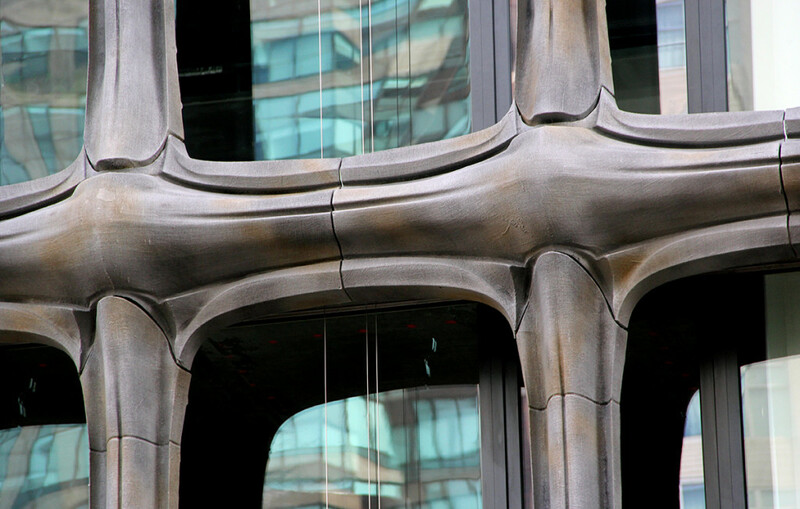 Earlier, we gave you a look at DDG’s rough-cut, bluestone facade at 12 Warren Street in Tribeca, and now, just a few blocks north within the SoHo-Cast Iron Historic District, the team has de-shrouded the skeletal exterior of their upcoming condominium XOCO 325. 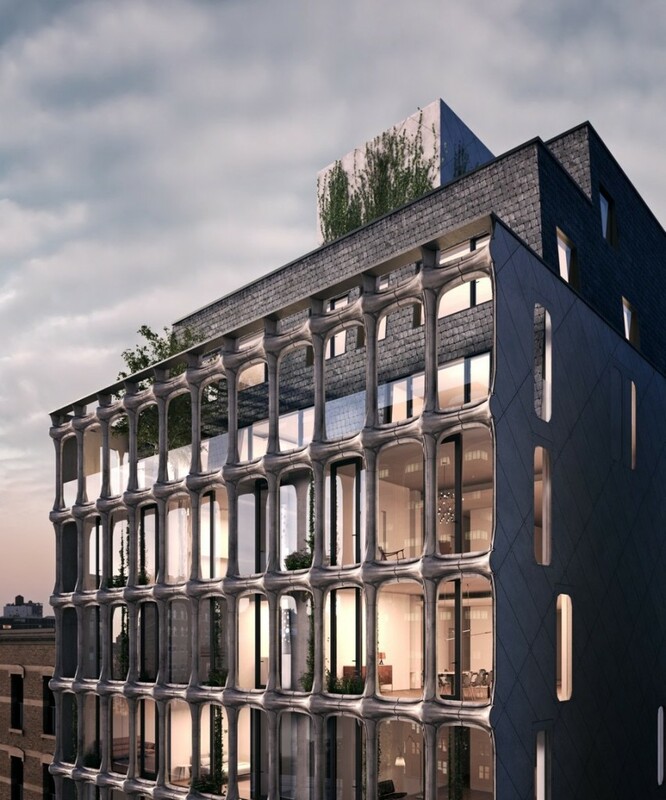 Rising from a through-block site at 325 West Broadway, the 48,000 square foot development will house 21 light-filled residences upon its completion early next year. 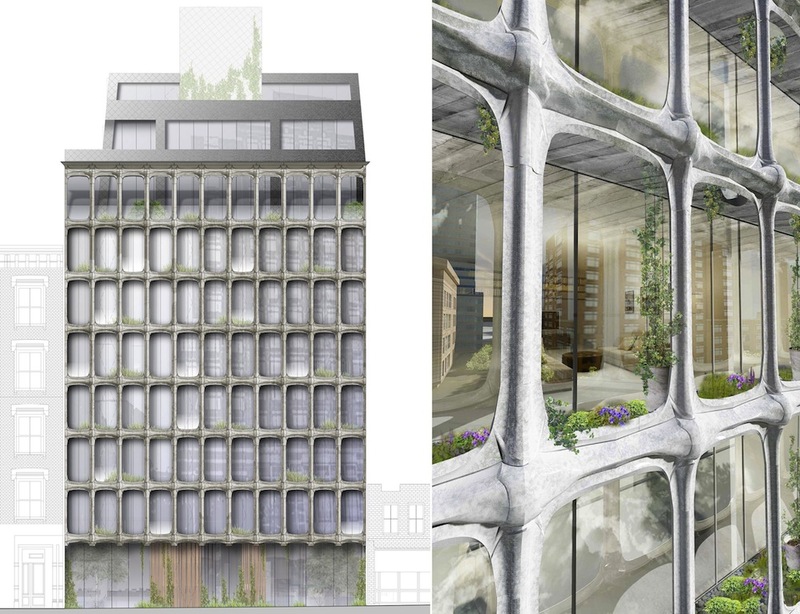 DDG picked up the site for $38.5 million in 2012, and in typical fashion, souped up the design with organic and environmentally inspired elements that charmed the Landmarks Preservation Commission.